When painter Leslie Parke was a small child, she would head downstairs early in the morning and open one of her parents’ art books, squatting on the floor and pressing her face into the color reproductions of Fifty Centuries of Art. Her goal was not so much to study the paintings as to live inside them. “Here in tiny landscapes behind Rogier van der Weyden’s Madonna and in the curtained Dutch rooms of Vermeer, worlds opened up to me that were at once more vivid and appealing than the one I lived in,” she later wrote. Like Alice in Through the Looking Glass, she longed to be on the other side. “I wanted to live inside a painting,” she recalls. 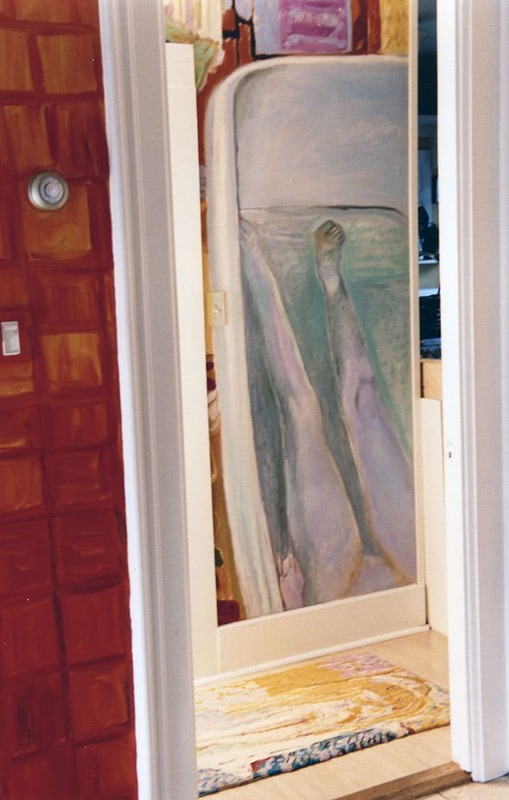 Many years later, all grown up and an artist herself, Parke moved into a ramshackle apartment above the old Grange Hall in Shushan, a small town in upstate New York. With her landlords’ tacit consent, she undertook some serious renovations, tearing down plaster walls, rewiring, and putting up sheetrock. 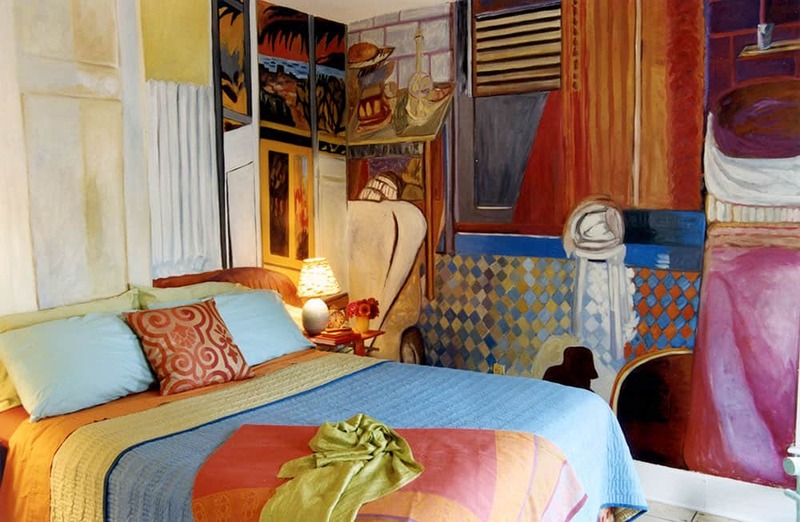 When she reached the bedroom, whose walls had long since dulled, she had a different idea about upgrading, one inspired by those encounters with paintings years earlier. And then came additional accoutrements. Parke painted over what furniture she had acquired or inherited from her parents. 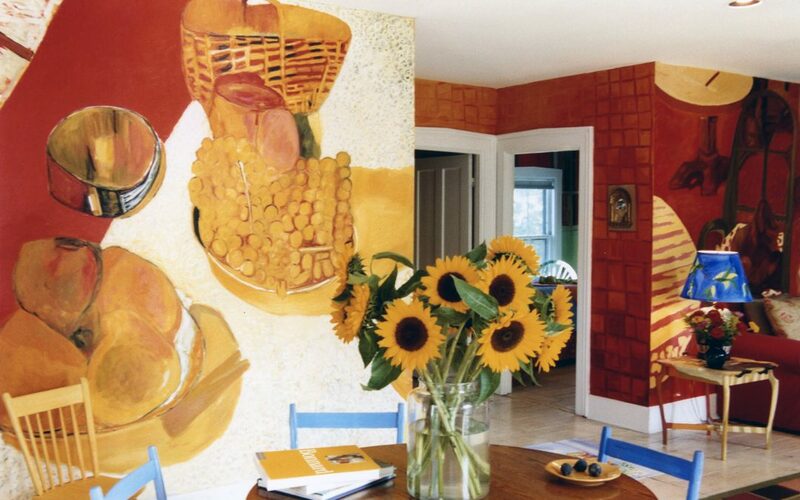 On a dresser she outlined cadmium yellow wall tiles that shade into lavender. She decided her pale floral rugs looked “sickly” in the bedroom. 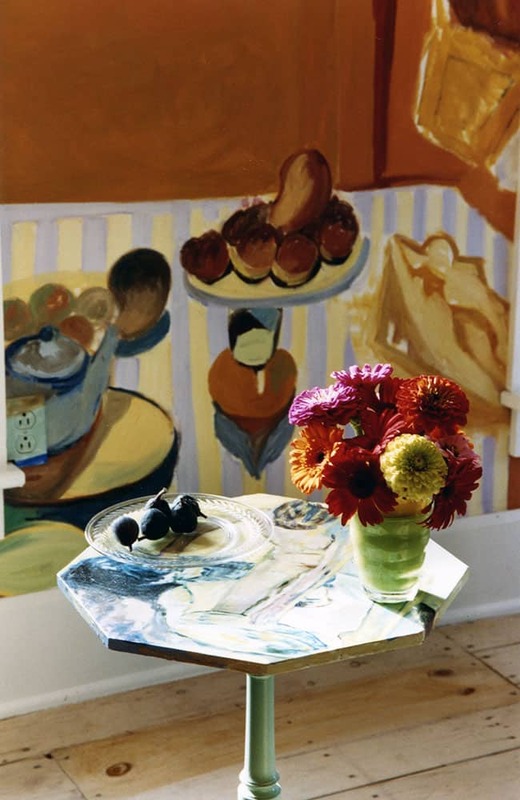 “So I took up rug hooking and hooked Flat into the tiled floor.” She painted over lamps, as well, and started searching out bed linens and additional rugs that looked like they belonged. 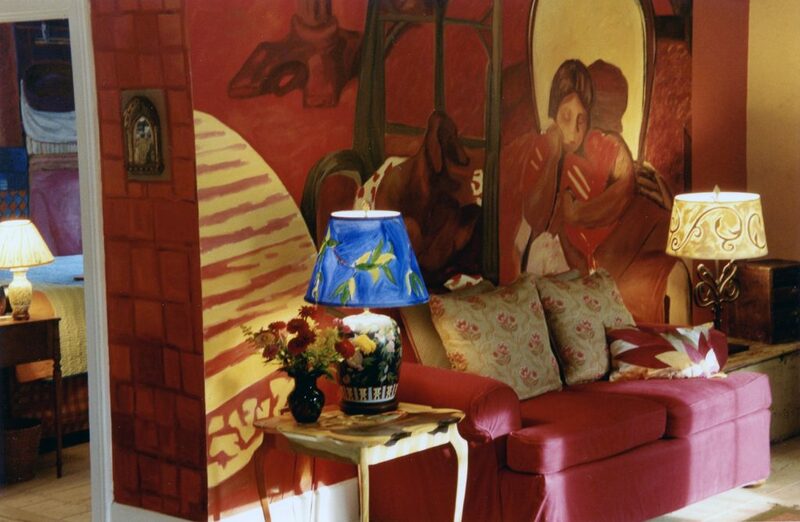 She found a wind-up 1910 clock, reminiscent of Bonnard’s era, and bought a round table to go with the mural in the dining room. 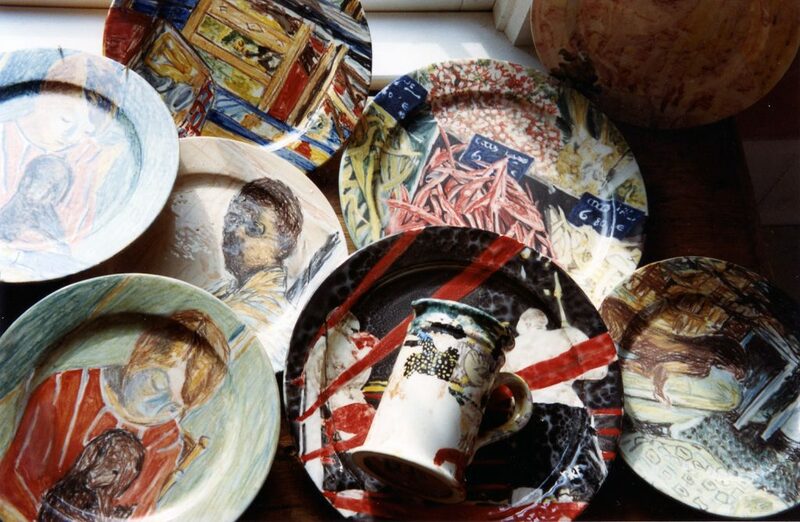 During a residency at Vallauris in Provence, where Picasso once had a ceramics studio, she made plates embellished with more Bonnard figures and motifs. 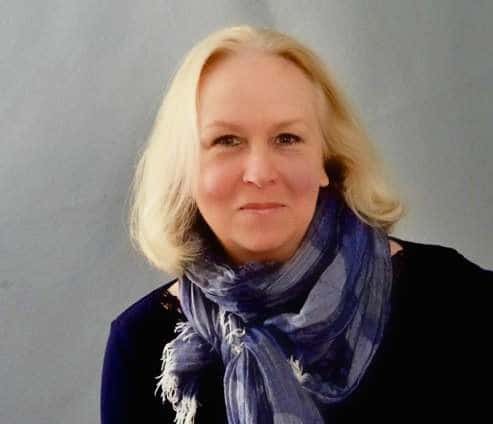 Leslie Parke is a recipient of the Esther and Adolph Gottlieb Grant for Individual Support, the Lila Wallace-Reader’s Digest grant as artist- in-residence at the Claude Monet Foundation in Giverny, France, and the George Sugarman Foundation Grant, among others. 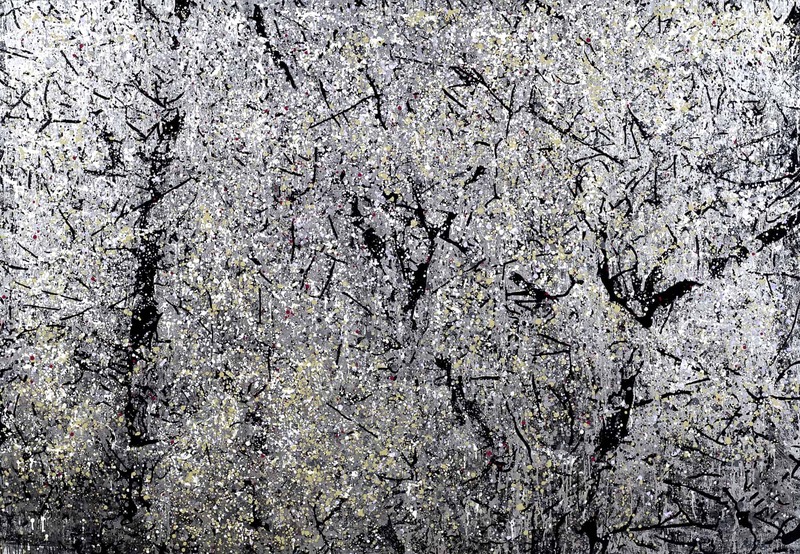 She has showed her work at the Williams College Museum of Art; the Bennington Museum (Bennington, VT), the Museum of the Southwest (Midland, TX), the Fernbank Museum (Atlanta, GA); the Milwaukee Art Museum, and the Museo de Arte Moderno, Buenos Aires, Argentina. Parke has a BA and MA from Bennington College. Her work is in numerous corporate and private collections. More about her can be found at leslieparke.com.